Basically, regardless of the size of the company, after any irrelevant incident that happens in the workplace, a proper measure is taken as a result, in the sense that the company should not be holding the room for similar problems in the future. In simple words, if the incident that took place has anything to do with the requirement of any disciplinary action, the right procedure is to send a written notification to the employee who has caused the issue. You may also see Employment Forms. 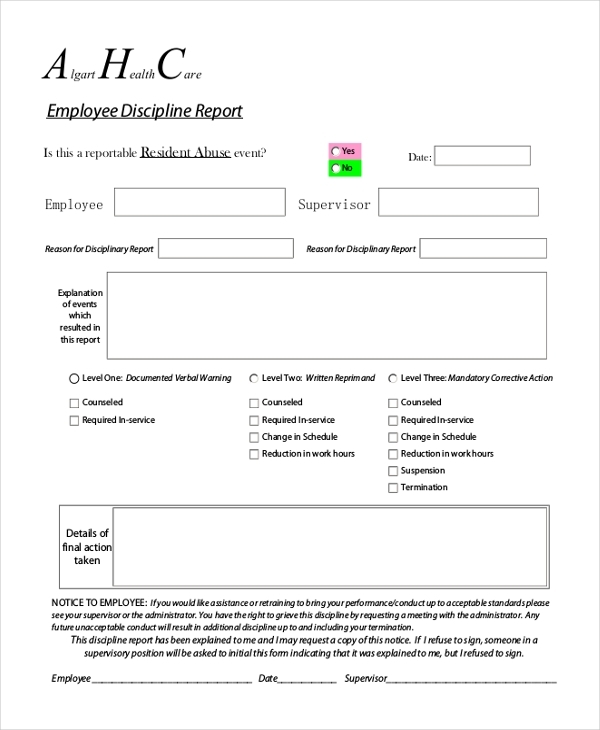 A sample Employee Discipline Form is available one for free to download. You can download it error-free and get it signed by both the ends ensuring a hassle-free association further. 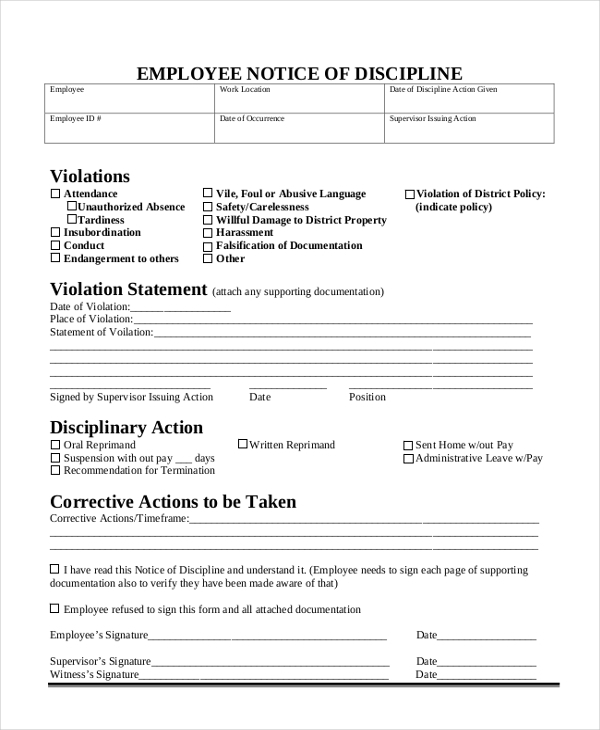 This Employee Discipline Form PDF contains data that is mandatory to take a primary disciplinary measure that poses as a warning to the employees involved in the scene that required disciplinary measures. You can also see Employment Authorization Forms. Employee notice of discipline is sent to the employees to warn the consequences of their activity. Sending an employee notice of discipline is a positive method of tackling employee issues. This report is a fine note on how the employee has been involved in the scene that required a disciplinary action and sometimes, which helps the company in taking actions towards the employees. 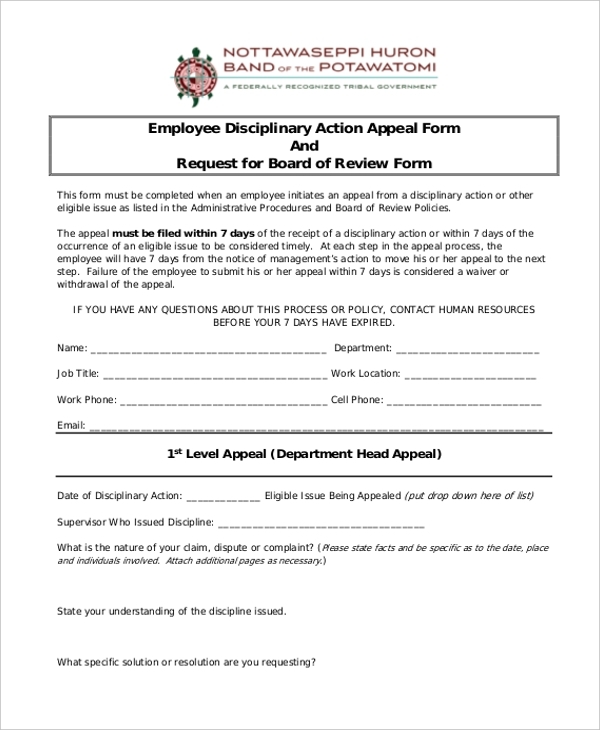 This is the clear description of a disciplinary action and the appeal usually, must be filed within 7 working days of the occurrence of the issue or the receipt of any disciplinary action. At every step of the process, the employee will receive a notice of the management’s action. 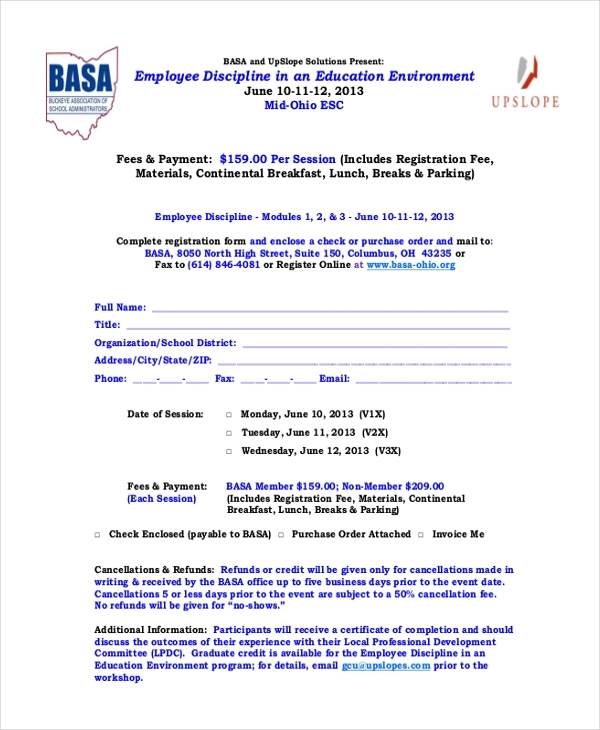 You may also see Employee Declaration Forms. In an education environment, employee discipline comes of prime importance since education deals with ‘students’, which here is the critical issue that needs to be considered in the first place as lack of employee discipline can reflect on them too. You can also see Self-Employment Forms. This form is noted down the details of the scene happened. The reason and basis for the grievance handled for any disciplinary action or termination can be mentioned along with the requested remedy. The Employee Discipline Forms, employee notice of discipline forms, grievance or education related form and the action appeal forms, whatever nature may be, the target audience is clearly the employee who is the reason for the incident to happen or the people who were involved in the scene and the company. The disciplinary form is a warning or a procedure to secure the company from being affected or keep the employee from repeating the mistake. This prompts the individual or the group to go with the terms or the form makes it apparent that the necessary action will be taken. You can also see Employee Status Change Forms. What are The Benefits of Employee Discipline Forms? The benefits of the Employee Discipline Form are completely on the firm. 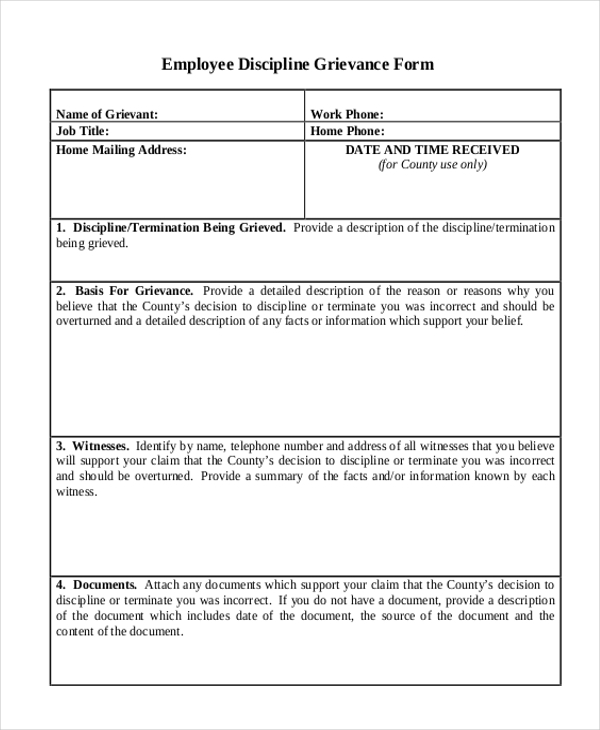 Since the form is legally binding, if any further issues occur that requires the assistance of the courtroom, these employee discipline notifications that was sent to the employee previously can be produced by the employee. On the off hand, it is also like the employee promises to the firm that he or she will not to be the reason for any similar events further inside the company premises. Given these, there are also forms like Employee Clearance Forms that ensure the disciplinary action is solved. However, employee disciplinary forms are necessary and can be used as an efficient method to take the company forward.